April 11, 2017 – Century Realty is pleased to announce the sale of 243 Three Springs Drive located off of Route 22 and Route 30 in Weirton, WV. The property was once a Wal-Mart retail store, but is currently occupied by the industrial tenant, Signode. The 102,600 square foot building included additional outparcels on the site as part of the portfolio sale, and is situated next to a newly constructed 28,000 square foot retail complex, Three Springs Crossings. The Seller was represented by Jessica Jarosz and Adam Weidner of Century Realty. 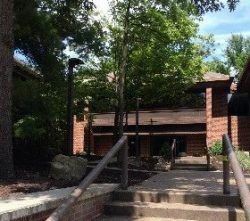 “The sale of 243 Three Springs Drive in Weirton, WV illustrates the continued strength of the capital markets in the Ohio Valley and Pittsburgh Region. This industrial asset was repurposed from a retail facility into a manufacturing and distribution center that services the Mid Atlantic market from a strategic and logistical standpoint. Commercial assets will continue to attract capital from throughout the country reflecting the stability of this market,” said Adam Weidner, Executive Vice President at Century Realty. February 15, 2017 – Century Realty is pleased to announce they have completed five (5) new transactions in the Pittsburgh region within the past three (3) months. Three (3) office tenants, including JP Phillips Incorporated, Appraisal Nation, and FFC Capital Corporation, executed new leases at 100 Ryan Court, Pittsburgh, PA 15205 totaling approximately 12,000 square feet. Jessica Jarosz, Executive Vice President of Century Realty, represented the Landlord in these transactions. 100 Ryan Court offers multiple office suites ranging from 1,500 square feet to 18,100 square feet. 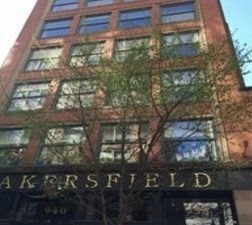 Washington Alliance Capital and American Urban Radio Networks executed new office leases at 938 Penn Avenue, Pittsburgh, PA 15222 totaling in approximately 4,100 square feet. Jessica Jarosz, Executive Vice President of Century Realty, represented the Landlord in both transactions. 938 Penn Avenue can accommodate 1,500 square feet to 17,600 square feet of contiguous office space. 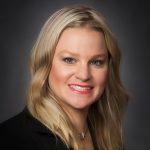 February 8, 2017 – Century Realty LLC, the real estate brokerage affiliate of Century Equities, Inc., is pleased to announce that Molly Aderholt has joined its team of real estate professionals as Corporate Counsel for Century Realty. Ms. Aderholt focuses on real estate transactions and a wide variety of other legal matters. 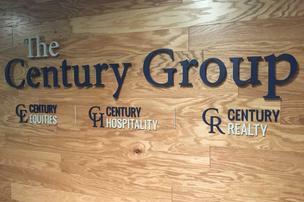 Ms. Aderholt and Century Realty work directly with affiliate companies Century Equities and Century Hospitality. Previously, Ms. Aderholt spent nearly 11 years in private practice with a major regional law firm, Steptoe & Johnson PLLC. Prior to joining Century Realty, Ms. Aderholt had a varied practice that involved both litigation and transactional work. 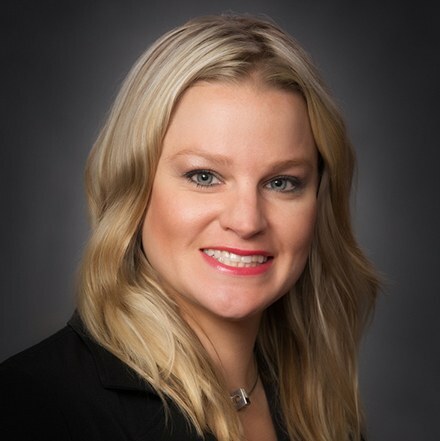 Ms. Aderholt initially specialized in general civil defense litigation, and subsequently focused her practice on real estate and energy title and transactions. 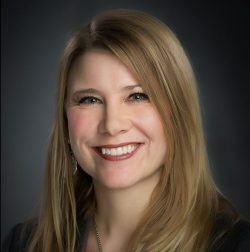 As a litigator, Ms. Aderholt primarily defended individuals and companies in matters involving personal injury, premises liability and professional liability. As a real estate and energy attorney, Ms. Aderholt handled acquisitions of land and mineral interests on behalf of a Fortune 500 company, and assisted multiple energy companies in acquiring various interests, performing due diligence and conducting general land operations. October 14, 2016 – Century Realty is pleased to announce the sale of Texas Roadhouse at The Highlands located at 43 Fort Henry Road, Triadelphia, West Virginia 26003. The 7,163 square foot restaurant is situated on a 2 acre lot. Century Realty teamed up with Marcus & Millichap Real Estate to represent the owner, an affiliate of Century Realty, and W.F. Chesley Real Estate, LLC represented the buyer for this transaction. The Highlands, founded in 2004, is the premier retail and shopping center for the Wheeling/Ohio Valley/Tri-State area. 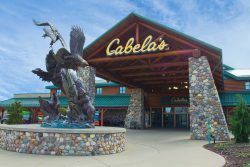 Located on Interstate 70, the Highlands is about a half hour drive from the suburbs of Pittsburgh and draws shoppers equally from Ohio, Pennsylvania, and West Virginia. With over 1 million square feet of retail space, this destination offers shopping, dining, lodging, and entertainment amenities. “This sale accentuates the desirability of the Highlands as a premier retail destination for tenants as well as the appetite for quality commercial real estate in the Northern Panhandle of West Virginia,” said Adam Weidner, Executive Vice President at Century Realty. June 30, 2016 – Century Realty is pleased to announce it was hired today by H L Libby Corporation to exclusively market and lease their office building asset situated along the Parkway West corridor with an address of 100 Ryan Court, Pittsburgh, PA 15205. Jessica Jarosz will be the lead broker on the office listing. H L Libby Corporation acquired the former headquarters building of Ryan Homes in 2014. They have recently invested close to 1 million dollars ($1,000,000) in capital improvements and are aggressively seeking office users who can capitalize on the location, access, a superb & very rare billboard sign visible from the Parkway and Interstate 79 (over 128,000 vehicles per day drive by that sign) situated in a campus-like setting with upgraded finishes on the exterior and interior. The billboard sign is such a unique opportunity for one lucky tenant out there. People should be aware this option exists for their business. The laundry list of improvements are close to completion, and so we are ready to schedule tours and to start executing leases! Located 15 minutes from the Airport and 10 minutes to Downtown Pittsburgh with ample, free parking, this building is well positioned for many different office users currently seeking newly upgraded systems, finishes and amenities. The building has up to 40,000 SF available for lease and are able to accommodate a single-user or multiple tenants. We can even accommodate companies that may have a need for garage and/or storage type space (i.e. : engineering firms with field services and a need for a mud room or storage). May 2, 2016 – After the hotel division of the company decided to develop a new TRYP by Wyndham Hotel out of an old school in Lawrenceville, The Century Group has decided to stay a while in Pittsburgh itself. Based in Wheeling, W.Va., where the company has divisions focused on real estate investment and hotel development, Century has now established a downtown office on Penn Avenue for its Century Realty Commercial Advisors. The new office serves a motivation to start a new third-party brokerage division of the company as it also continues to pursue development here, with the hotel in Lawrenceville in the works along with two other hotel-lead projects in the works in the North Hills and Canonsburg. April 22, 2016 – Century Realty is pleased to announce they have represented three (3) tenants for new retail leases in the Pittsburgh and Ohio Valley region. StudioME will be moving into 2,500 square feet of retail space in the East Liberty Place North on Penn Avenue. StudioME is a place for professionals, enthusiasts, self-starters, game changers, personalities and producers to utilize the first, self-guided media studio designed for users of any experience level. Jessica Jarosz, Executive Vice President of Century Realty represented StudioME and Anthony Dolan represented the Landlord in the transaction. December 21, 2015 – Century Realty has been engaged as the exclusive brokerage firm to list The Highlands, the Upper Ohio Valley’s premier retail destination that offers shopping, dining, lodging, and entertainment amenities. The Century Realty team of Adam Weidner, Jessica Jarosz, and John Aderholt will be representing the power center totaling more than 1 million square feet. The Highlands, located on Interstate 70 (5 miles east of Wheeling and 38 miles west of Pittsburgh), offers various existing retail and office availabilities ranging from 1,500 square feet to 12,000 square feet. There are also available pad sites ranging from 1.15 acres to 12 acres for those retailers looking for new development opportunities varying from strip centers to big box retail. September 8, 2015 – Century Realty LLC, the real estate brokerage affiliate of Century Equities, Inc., is pleased to announce that Jessica Jarosz has joined its team of real estate professionals as Executive Vice President for Century Realty. Ms. Jarosz’s expertise includes tenant and landlord advisory services in the office, retail, and flex/industrial sectors of commercial real estate. Ms. Jarosz’s key responsibilities for Century Realty will include oversight of the company’s expansion into greater Pittsburgh, including staffing, opening, and oversight of a downtown Pittsburgh office (projected to open late Fall of 2015). Additionally, Ms. Jarosz and Century Realty are closely involved with affiliate companies Century Equities and Century Hospitality. In that respect, Ms. Jarosz is involved in net lease investment acquisitions/dispositions, retail leasing/sales, and hospitality development.